Mrs. Bacha is currently the Director of Special Education and School Psychologist. Mrs. Bacha joined the Stanley-Boyd School District in the fall of 2013 as the school psychologist. She earned her Specialist Degree in school psychology and Master's Degree in education from the University of Wisconsin- Eau Claire. She earned her Bachelor's Degree in psychology and sociology from the University of Wisconsin- La Crosse. Mrs. Bacha has previously worked in PreK-12 school districts and continues to be a resource for initiatives such as Response to Intervention (RtI) and Positive Behavioral Interventions and Support (PBIS). She has also presented research in education and the school psychology profession at state and national conventions. 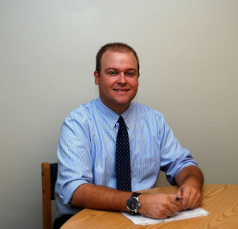 Mr. Kopplin earned a Bachelor's Degree in Sociology from the University of Wisconsin-Whitewater in 2009. He earned a Master's Degree in School Counseling from the University of Wisconsin-Whitewater in 2013. Tyler completed his School Counseling internship at Watertown High School during the 2012-13 school year. Mr. Kopplin joined the Stanley-Boyd School District in the fall of 2013. Mrs. Ceranski earned a Bachelor's degree in Sociology from the University of Wisconsin-Stevens Point in 2002. She earned a Master's Degree in School Counseling from the University of Wisconsin-Stout in 2004. 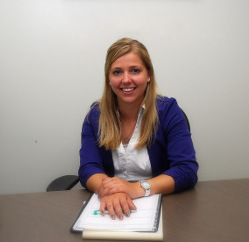 Jamie worked as a school counselor for three years in Minocqua before coming to Stanley-Boyd. Since 2007, she has been the Elementary and Middle School Counselor for the Stanley-Boyd Area Schools.